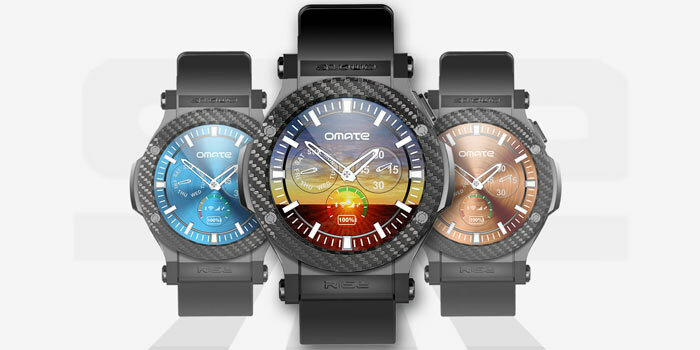 Omate has been making a name for itself over the years as a producer of affordable smartwatches with products like its TrueSmart series of wearables. The brand has now come out with a new offering dubbed the Rise which starts at $199. The Omate Rise stands out from the crowd by virtue of running a full version of the Android OS. It therefore acts as a mini replica of a smartphone, letting users have access to features which are not available through devices containing Android Wear. It even allows users to insert a normal microSIM card into a slot. Thanks to this feature, consumers have access to the 1900MHz and 2100MHz 3G bands, in addition to the 850, 900, 1800 and 1900MHz 2G bands. The Rise will be sold via a special IndieGoGo pre-order campaign which will take place for 48 hours starting from December 7 at 10 am New York time. The Omate gadget is priced at $199 for Super Early Bird shoppers. These early backers will additionally get a free Bluetooth heart rate monitor chest belt with their purchase, a useful tool as the smartwatch itself doesn’t come with a heart rate tracker. The retail cost of the wearable is $349, with shipments expected to begin by the end of March 2016. The body of the Rise is made out of polycarbonate and the device additionally comes with a unique carbon fiber bezel. Omate has equipped it with 1 ATM water resistance up to a depth of 10m. The wearable runs on Android 5.1 Lollipop with a layer of the brand’s own Omate OUI 4.0 on top. Users can receive notifications from devices running iOS or Android software. The Omate Rise is backed by a 580mAh battery, which can supposedly last for 72 hours of standby time on 3G. In terms of memory, it packs 512MB of RAM and 4GB of ROM. It’s powered by a dual-core 1.2GHz MediaTek MT2601 processor coupled with a Mali-400 GPU. The smartwatch sports a 1.3-inch display with a resolution of 360 x 360p and sapphire coating.